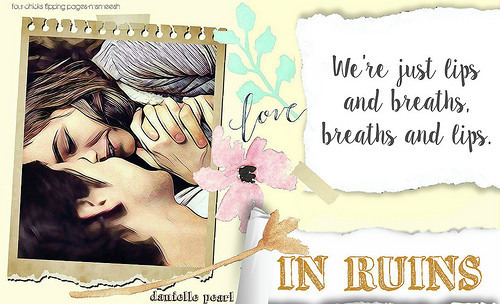 In Ruins by Danielle Pearl is a poignant, touching, and very raw emotional storyline of two former lovers getting back to that love and friendship that once tethered them together. 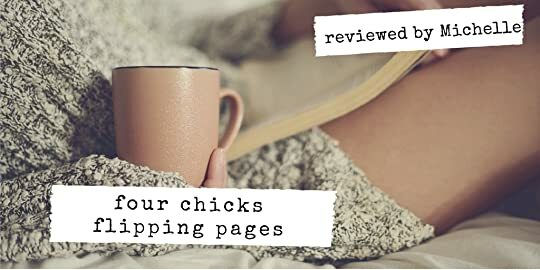 Danielle Pearl beautifully and eloquently delivers a story that will pull reader’s heart to feel for her characters and in such allows readers like myself to see and understand both perspectives as secrets, truths, and lies are slowly unmasked and revealed. With her raw and visceral prose, Pearl will leave readers in ruins as hearts will break, be mended and slowly pieced back together again. They say the truth will set you free but in this case the truth can be the biggest heartbreak, disappointment and leave you in ruins. In the case of Carleigh Stanger, college was meant to be a fresh start. A clean slate where she didn’t have to live with regrets, pain, disappointment and heartbreak. College was the mark of what should have been the new Carleigh Stranger but that was not the case when your past is your present. Or in this case, her past and present and the love of her life was Tucker Green. Tucker and Carleigh were two best friends who shared a deep rooted friendship and chemistry that couldn’t be explained. Their love for each other was endless but with secrets hovering between them, it was inevitable for these two lovers to make their relationship work. But when Carleigh and Tucker are constantly running to each other on campus, it was only a matter of time till their hearts dictated the truth. This thing between them was something more. More than secrets. More than the hurt and disappointment. But will Carleigh ever reveal the truth to Tucker or will her truth leave him in ruins? In Ruins by Danielle Pearl is a story that is built upon a catalyst of secrets, lies, and unforeseen circumstance. The truth in this particular story was the biggest factor to drive the angst factor as Tucker and Carleigh navigated their feelings for one another. But as these two young adults try to work out their complicated relationship, what happens when the truth is revealed and another twist of events occurs that could leave both Tucker and Carleigh in ruins? Can a shattered heart and secretive past be the catalyst to set their hearts and minds free? So if you are looking for a story that emotionally blends the past and present then this book is for you as forgiveness, letting go, and starting over is the key underlying factor in this tale. In Ruins is the first book that I had the pleasure reading from this author and after this book, Danielle Pearl will definitely be on my book radar.